(Yuba City, CA)– Succeed.Net, Yuba City’s largest Internet service provider has acquired the Yuba City and surrounding area Wi-Fi fixed wireless network assets and customers of Digitalpath.net, a wireless ISP (WISP) and wireless equipment provider based in Chico, CA. Succeed.Net acquired the Yuba City network and intends to expand and deploy their state of the art equipment in surrounding areas such as Marysville, Meridian, Sutter, Live Oak, Browns Valley, Biggs, Orland, Willows, Colusa, Williams, Richvale, Oregon House, etc. “It’s important for Succeed.Net to maintain our competitive edge by releasing new products and services. 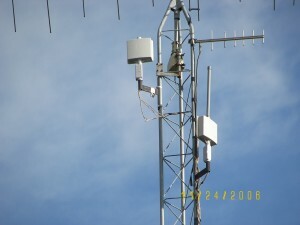 The Digitalpath network has given us increased coverage for expanding our highly rated long rang wireless rural network with low cost Wi-Fi portal system for the metro areas in and around Yuba City, CA” said Robert Lavelock, Owner of Succeed.Net. Succeed.Net provides Nationwide DSL, nationwide business Fiber Optic service, Metro Ethernet, VOIP (digital phone service), a large privately owned fixed wireless network covering greater Sacramento Metro area, datacenter hosting, high tech startup offices and executive suites, and much more. Succeed.Net also provides computer service & repair and IT management for local businesses since 1991. Update 2006: Digitalpath.net came back to life shortly after our acquisition and is now a welcome competitor to Succeed.Net for fixed wireless internet and VOIP telephone services. REVIEWS: Research your ISP choices via online Digitalpath reviews and Succeed.Net reviews. IF YOU ARE AN UNHAPPY DIGITALPATH CUSTOMER WE OFFER FREE CONVERSIONS TO SUCCEED.NET AIRFIBER INTERNET SERVICE WITH NO INSTALLATION OR SETUP FEES.